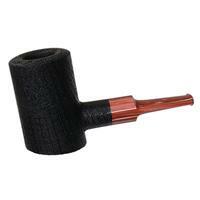 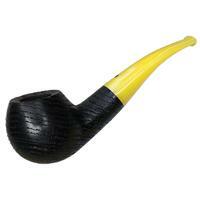 Askwith pipes are made by Chris Askwith, who lives and works in Plymouth, England. 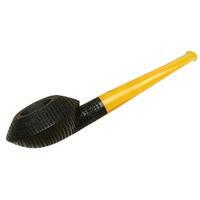 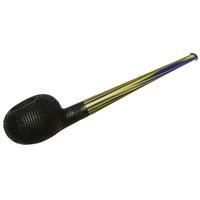 He is a skilled silversmith and found many of his skills and tools useful for pipe repairs. 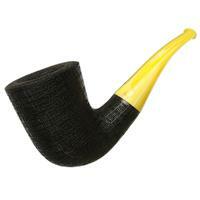 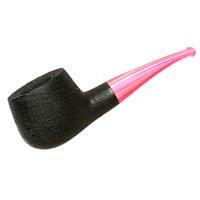 After joining a pipe club, he quickly became enticed by the idea of making pipes. 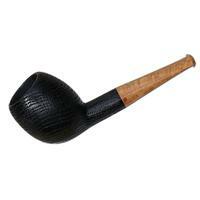 He visited with other pipe makers, adapting his background as a silversmith to pipe making. 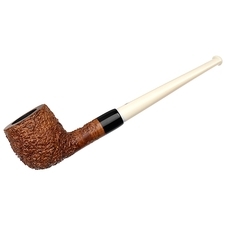 Askwith pipes are some of the very few made in England that look to the classic English shape chart more as inspiration than strict rules for execution. 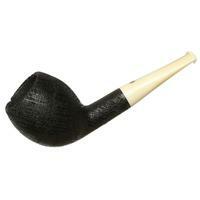 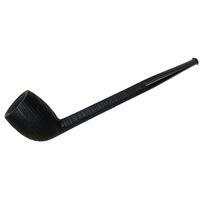 One can find Billiards and Bulldogs among his designs, but they tend to play with proportions and finishes like many contemporary American pipemakers. 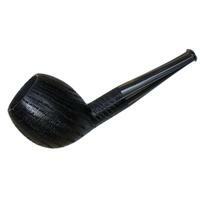 Utilizing blocks of authentic bog morta, Chris makes playful designs from these nearly as often as with briar. 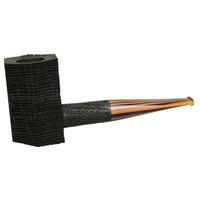 His sandblasting and smooth finishing are both highly advanced, and he makes delicate and precise hand-cut stems from Lucite, Ebonite, Cumberland, and Horn. 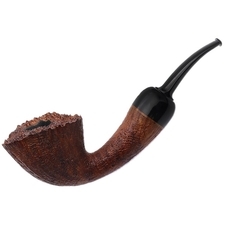 Each piece is fitted with a delrin tenon and can be a study in engineering perfection. 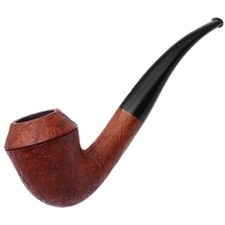 Many English pipes are made well, but Askwith pipes are steps above in quality compared to mass produced pieces in nearly every way possible.